Need a different length? Just add a note at checkout. Typewriter necklaces make a wonderful gift of personalized jewelry for your wedding party. Perfect for bridesmaids, mother of the bride, and maid of honor. 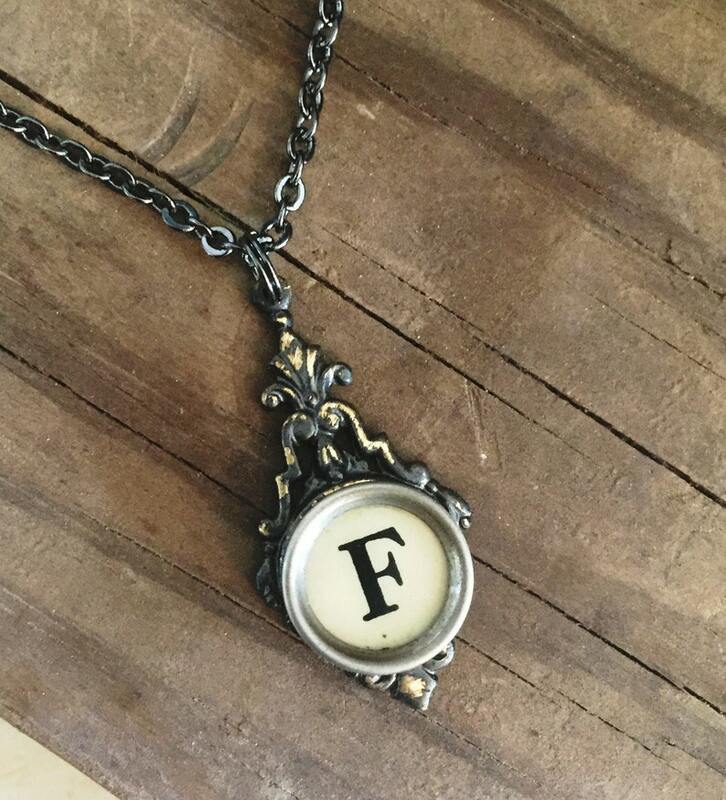 Add a custom vintage touch to your gifts for Mothers Day, a writer,or a best friend. Typewriter Key Necklace Production time is 1-3 business days. Production times still apply for your typewriter key jewelry.